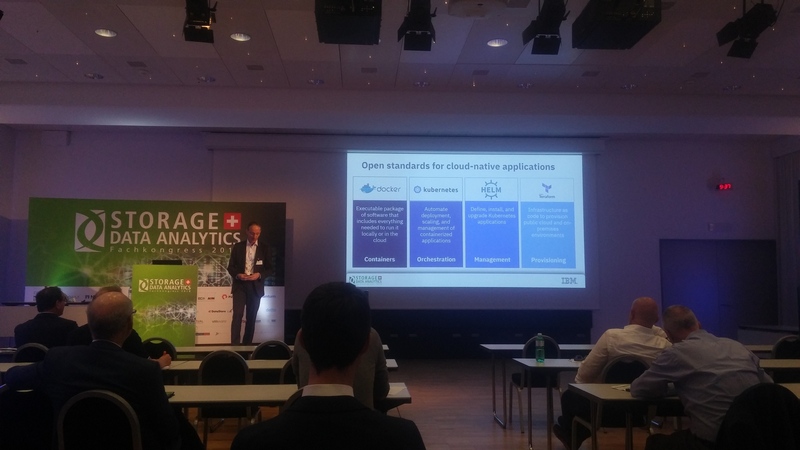 This year we had the pleasure to organize and host one of Switzerland’s most prestigious cloud events, the OpenCloudDay. 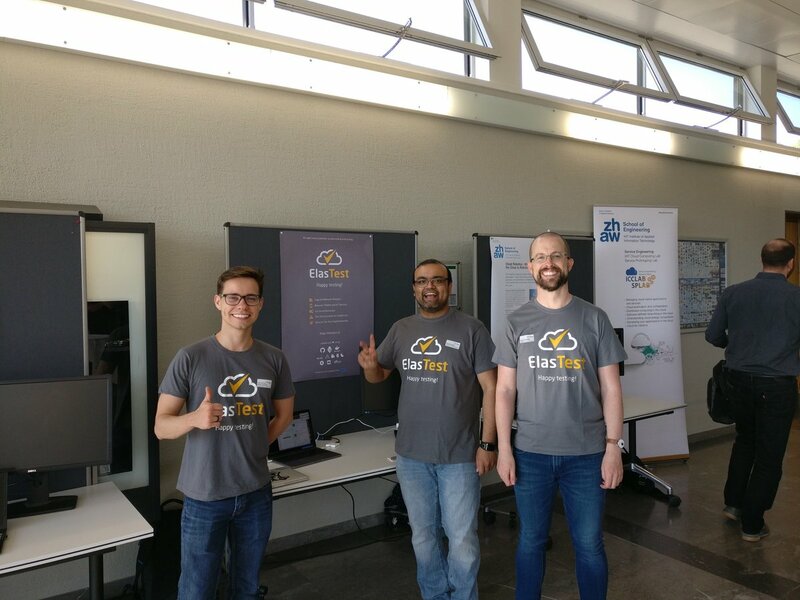 On the 30th of May, we welcomed the around 80 participants at the ZHAW School of Engineering in Winterthur for a day rich with technical talks, demos and networking possibilities for Cloud Computing practitioners and experts in Switzerland. 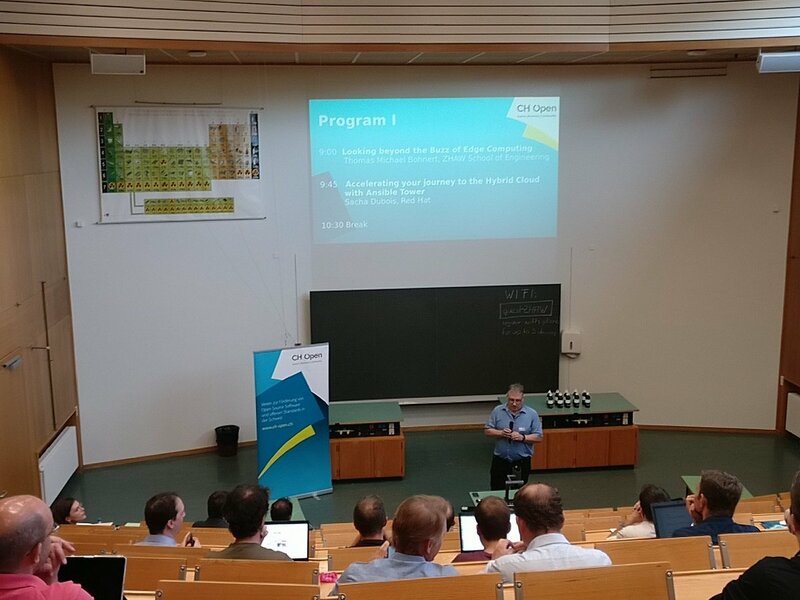 The program of the day started with two opening talks covering very timely topics in the field of Cloud Computing. 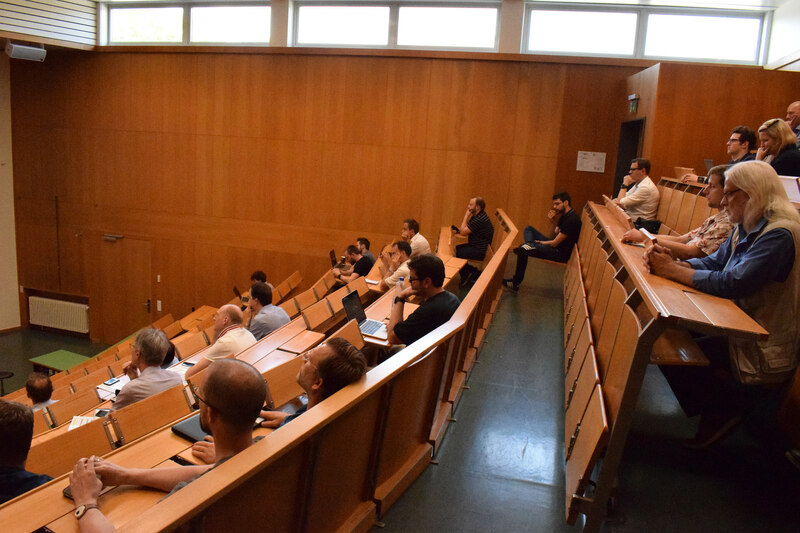 The first talk, given by Thomas Michael Bohnert from the ICCLab, was a critical view on what many consider as the next evolutionary direction of Cloud Computing, namely Edge Computing. We got the speaker’s perspective on the motivations, the potential obstacles and open issues for this paradigm to definitely break through (or maybe not) as the next Cloud Computing frontier. 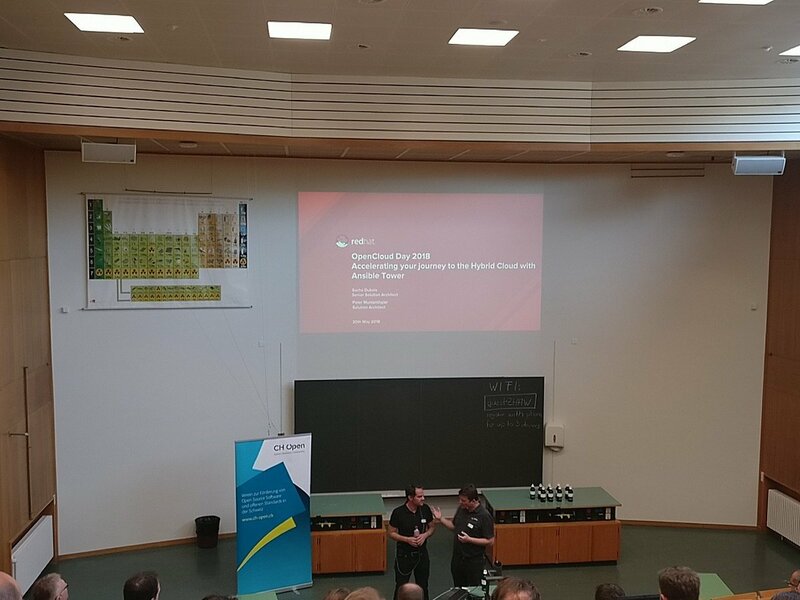 The second opening talk was given by Sacha Dubois from Red Hat and focused on the potential of Ansible Tower for the automation and management of Hybrid Clouds. After a general discussion on the possibilities offered by Ansible Tower to managing both on-premise and public cloud workloads, a live demo showed how this would work in the practice. During the second part of the morning and the first part of the afternoon, two technical sessions were ran in parallel. Several topics were covered as for instance Continuous Delivery, Continuous Deployment and Continuous Integration in the Cloud, and the CNCF activities during the last year, the challenges with the adoption of Web Application Firewall for the DevOps methodology and much more. An insightful presentation was given on the current cloudware technologies and what to expect from future post-clouds systems. Practical experiences were also presented as, for instance, in setting up a Kubernetes cluster, on the use of Ansible for cloud solutions. Also a workshop about the setup of an oVirt infrastructure for an open source Cloud Management Software was organized in the morning. For a complete program of the technical talks please visit the webpage of the OpenCloudDay. The two final technical talks of the day were given by Niklaus Hofer from Stepping Stone and Jens-Christian Fischer from SWITCH. In the first of the two talks, a presentation was given on the analysis of storage performance for a Ceph cluster. More specifically, the focus was on the comparison between the new backend solution for the Luminous Ceph release, i.e. BlueStore, and the FileStore solution for storing data to disk. Open challenges and further open points of investigation were also given. The last talk brought up a different point of view regarding all the technical solutions to run a cloud. Based on the experience of SWITCH in running an OpenStack/Ceph based cloud for the Swiss Academic community, the importance of the users’ role in using the technology was put in focus. The user’s perspective is not to be overseen as this puts additional challenges and requirements for solutions to be deployed as the experience of SWITCH clearly highlighted. The program of the day also offered a total of seven demo presentations on the following topics: Cloud Robotics, Edge Computing, CAB, CNA, Service Tooling, ElasTest, T-Systems solutions. The computer science department of AGH University of Science and Technology in Kraków has produced substantial analytical research contributions to assess the suitability of cloud functions as a basis for scientific workflows and computing platforms. Therefore, representing our similar research interests in the Service Prototyping Lab at Zurich University of Applied Sciences, we arranged an intensive two-day exchange including a research seminar, some live experiments and many inspiring discussions. This blog post summarises the talks and experimental results and provides an overview about evident trends and possibilities for future research in this area. 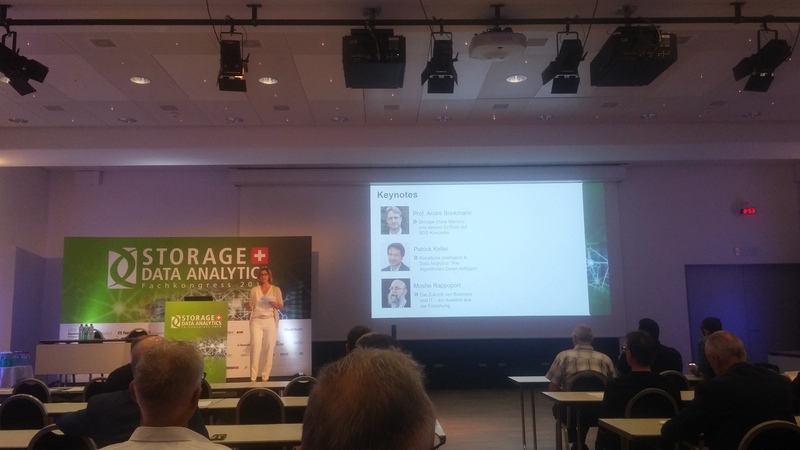 On the 24th of May we attended the “Storage & Data Analytics – Swiss 2018” day which was organized at the Seedamm Plaza in Pfäffikon SZ. Our interest and expertise at the ICCLab for innovative solutions in the area of Cloud Storage motivated us to join the event with the aim to exchange expertise with colleagues from both the industrial and the academic realms. The program for the event offered a well-balanced mix of keynote speeches from top-experts in the field of storage and data analytics, presentations from specialists and companies actively working in the continuously evolving market, workshops, round-tables, and live demos on specific aspects of interest, and important moments for networking and knowledge exchange with the participants. The research and development interests at the ICCLab naturally attracted our interest towards presentations in the area of Cloud Storage and Technology. The first Keynote of the day by Prof. Brinkmann from the University of Mainz, guided us through a classification of Storage with a view on the future of Storage. In the subsequent presentation by IBM, Storage in container-based Cloud Infrastructures was discussed underlying the importance of persistant storage and multi-cloud environments. Of particular interest to us was the presentation given by the company SUSE. Software Defined Storage was discussed as the de-facto Standard for storage in the Cloud, highlighting also the importance of open source based solutions when they presented their Enterprise Storage solution based on Openstack and Ceph. A further interesting analysis on Cloud Storage was later presented by the company Nutanix which introduced their full-stack solution for Storage in the Cloud. As an icing on the cake, the day was concluded by the insightful keynote given by Moshe Rappaport, Executive Technologist at IBM Research, which guided the audience in the future shedding light on the new disruptive technologies being ahead of us. The future of Storage was also predicted as this is rapidly evolving towards high density data storage applications requiring innovative research and development solutions. 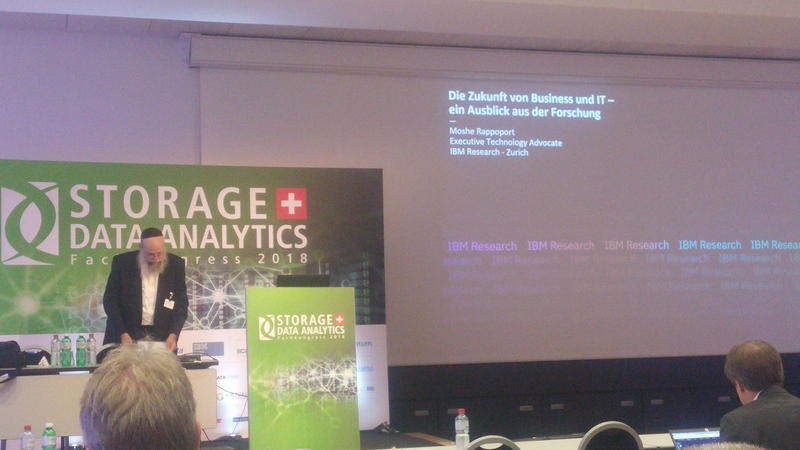 In conclusion, our participation to the “Storage & Data Analytics – Swiss 2018” was well worth the time investment. The event has clearly fulfilled the expectations as an important source of inspiration for our research activities and as an opportunity for networking with experts in the field. We are already looking forward to the next event of this kind!